For the first 60 years of the Paralympics, Judo has been the only martial art at the Games and is governed by the International Blind Sports Federation (IBSA). It is a relatively new sport with men’s competition introduced at the Seoul 1988 Paralympic Games, and women’s competition added to the program of the Athens 2004 Paralympic Games. Only athletes with visual impairment are eligible to compete, with all the sight classes (B1, B2 and B3) competing together and divided according to the weight of the participants (judokas). At the Rio 2016 Paralympic Games there were seven different male weight divisions and six female weight divisions. Paralympic judo follows the same rules as Olympic judo. 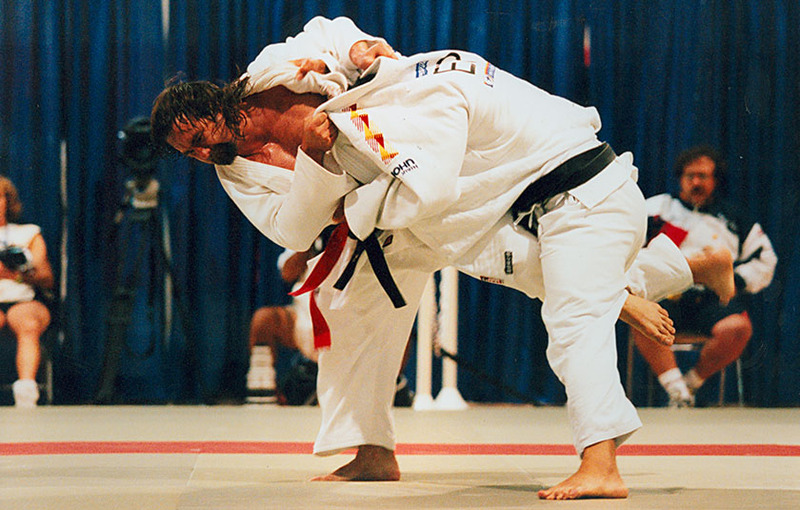 The key difference is that judokas start holding the suits of their competitors and continue this form of contact during the remainder of the combat. Judo requires athletes to employ a mix of attack and defence with combats lasting five minutes for men and four for women. The aim is to either gain more points than rivals by skilful attacks, throws and holds or score the coveted “ippon” by throwing the opponent with their back on the ground, immobilising them or forcing a submission. Australia has only ever had one medallist, Anthony Clarke, who won a gold in the men’s event (95 kg) at the 1996 Atlanta Games.